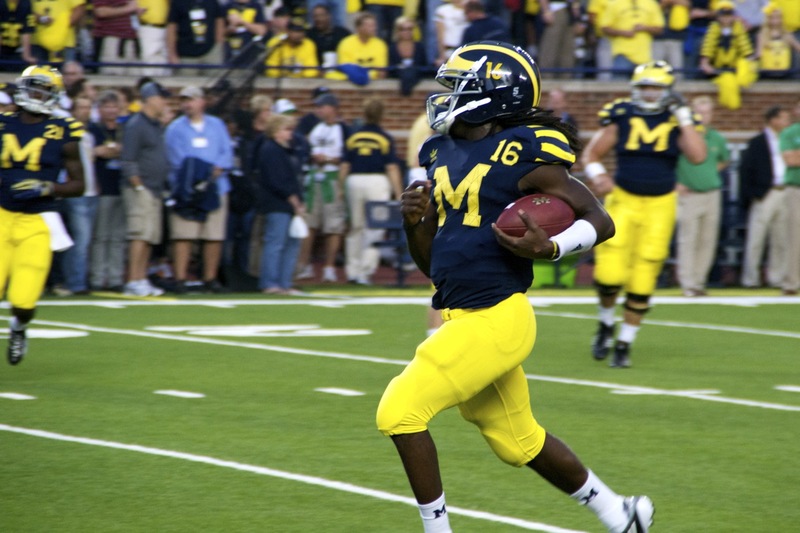 Not that he doesn't deserve the praise being heaped on him after shining brightly under the lights at the Big House and in the national spotlight of ESPN Saturday night football, but I can not think of a guy more deserving of the attention. 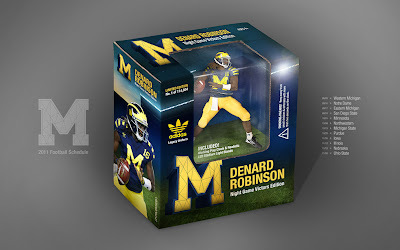 Denard is simply a unique talent, one that only comes along very rarely. Right now, the most dynamic player in the country wears maize & blue...so let's bask in the glow of yet another amazing performance. The art. The art. The art. If you don't know about this guy yet, you should. And you should make this your desktop wallpaper this week. 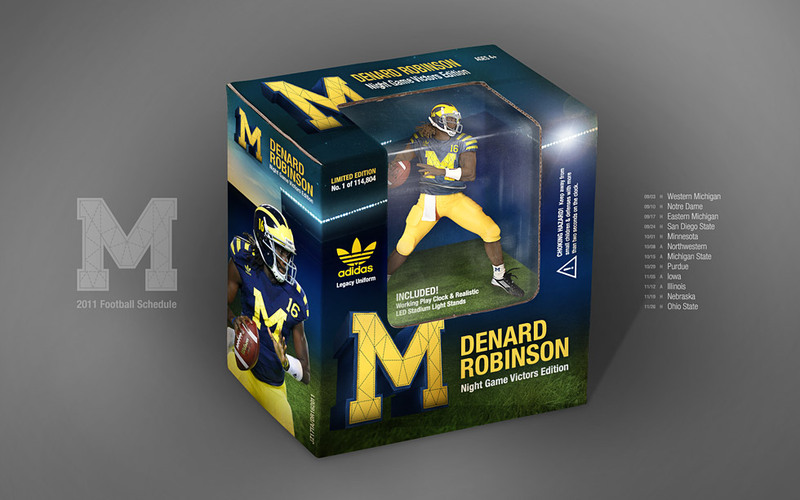 Via MGoBlog's aptly titled post, Denard After Dentist: WHAAAAAT?!?! And if you haven't seen "So I was like..." yet...click here. Awesome. Denard sat down with the gameday crew following the game. You know we had to post it here. At the 4:46 mark of this video, listen to what RVB has to say to Denard. 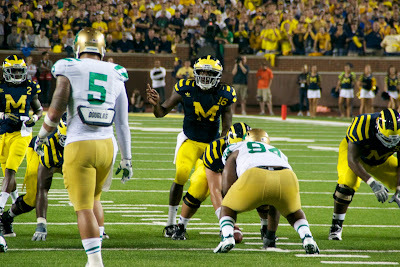 And of course, just for fun, here's the final play of the game...again. Interesting note, following the catch, ESPN cuts away (at the 0:32 mark) to Brady Hoke escorting, rather swiftly, a #7 player back to the Michigan sideline. I think its Devin Gardner, but it could also be linebacker Brandin Hawethorne (who played great, btw). Both were not on the field for the play. My guess is Hoke saw this player leave the bench to celebrate the play and quickly had to get him back to avoid a possible celebration penalty that, under the new rules, could have negated the touchdown. A bit of great coaching at a point in the game when some coaches might not have been so astute.